Today is the day. I’m so excited! For over a year and a half I’ve been diligently working on putting this book together. Now it’s here. I can’t believe it. Thank you so much for your prayers and encouragement along the way. You all helped in making my dream a reality. This book is a nostalgic coming-of-age memoir about growing up in the ’70s and ’80s. 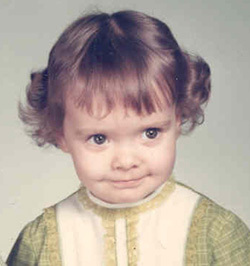 Jennifer began her quest for self-discovery at an early age when she realized she was different from other kids. Suffering from a bizarre condition known as Sensory Processing Disorder, she has a unique perspective on life and shares her innermost thoughts and struggles. 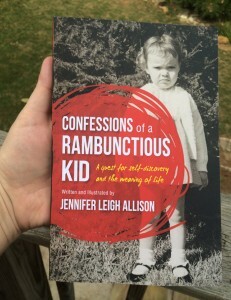 She fell into many deep potholes on her journey, which included abuse, addiction, and poverty. Ultimately, however, the challenges taught her some valuable life lessons. This story will make you laugh, cry, and cheer as you travel alongside Jennifer on the road to hope, transformation, and the meaning of life. I marvel over the fact that Jesus loves me, despite the numerous foolish things I have done. But I’m even more astonished that He took the punishment I deserved, so that I could have eternal life with our heavenly Father. It is my earnest prayer that you would know Him as I do. The same power that raised Christ from the dead can completely transform your life as well. 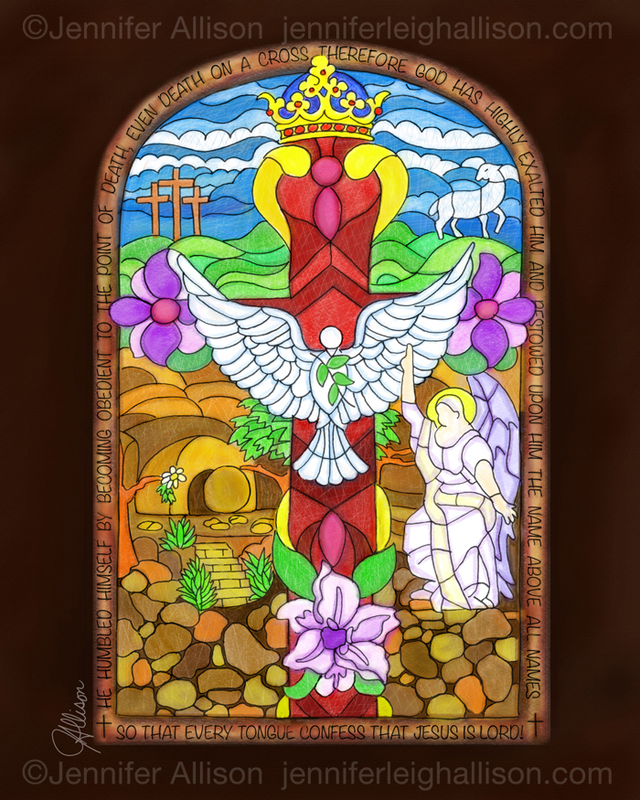 In celebration of Easter this year, I spent the afternoon drawing this stained glass window that I created. It depicts the resurrection of Christ. Happy Easter from Rambunctious Kid!! My drawings that are posted on www.jenniferleighallison.com and my social networks are ©Copyright Jennifer Allison. They shall not be used for any reason without prior written permission.